Clarksville Parks and Recreation announces Mo’ Pie to headline next Liberty Live! Clarksville, TN – Liberty Live!, the City of Clarksville’s free, outdoor concert series — continues on Sunday, August 20th, 2017 with a performance by Stuart Bonnington followed by headliner Mo’ Pie at Liberty Park’s amphitheater, 1188 Cumberland Drive. Mo’ Pie to play at Liberty Live! on Sunday, August 20th, 2017. Activities throughout the night, coordinated by the Clarksville Parks and Recreation Department, will begin at 6:00pm and feature Culver’s Frozen T-shirt Contest, a photo booth, and give-a-ways to include a free pair of special Blue Moon glasses for solar eclipse viewing. Stuart Bonnington will perform at 6:30pm with Mo’ Pie taking the stage at 8:00pm, Mo’ Pie Is a powerful and soulful blues quintet. 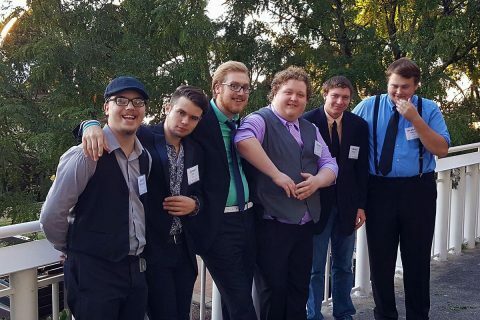 Band members, Patrick Long (vocals/lead guitar), Ian Harper (drums), Connor Stith (slide/rhythm guitar), Daniel Walker (bass), Aaron Taglioboschi (keysboards), and Daniel Meredith form an intense fusion of Soul, R&B, and Rock with their driving rhythm section, deep blues guitar and soulful vocals. Patrons are encouraged to bring blankets and chairs — but no pets or outside alcohol. The Overtime Bar & Grill food truck will be on site with food and beverages available for purchase. Beer will also be available for purchase. In the event of rain, outdoor concerts may have to be canceled or rescheduled. Special thanks to our sponsors Blue Moon Brewing Company, Appleton’s Harley-Davidson and Clarksville Living Magazine.